In a world filled with violence and deception, artist Janet Mueller oftentimes creates art that focuses on the ideal, hoping to bring peace by thoughts. Inspired by Miami and national news, the art displayed for this solo exhibition, consists of abstract paintings, sculptures, and constructions. The works created with salvaged materials such as a vacuum cleaner hose, bicycle parts, and found wood convey humbleness and invite us into understanding the lives of those living in poverty. Perhaps one day we will realize that ending poverty will reduce crime, help the economy, and ease the bitterness between people. 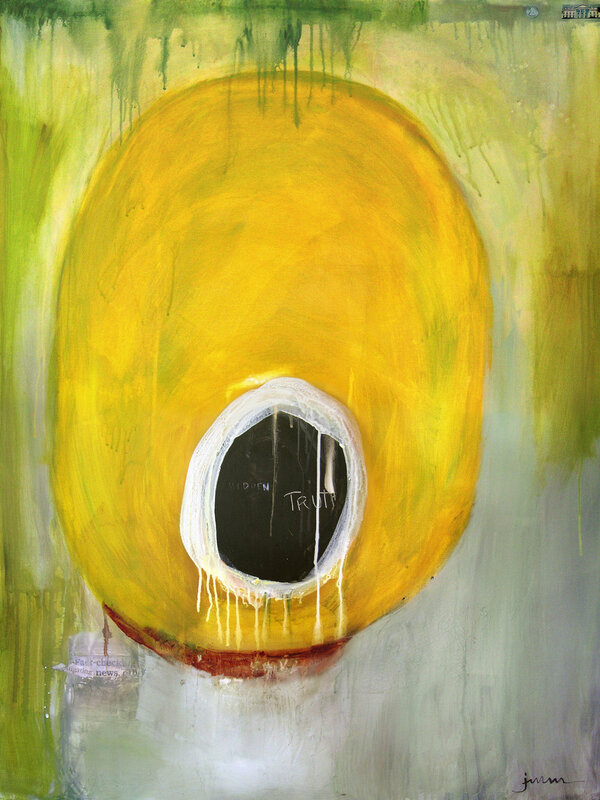 Mueller's paintings are bold, simple abstractions filled with symbolism. The pieces were created to bring about positive feelings for a brighter tomorrow.